TORONTO – Miele will open its fifth ‘experience centre’ in this city’s fashionable Yorkdale Shopping Centre sometime this summer. It will also be positioned as the appliance brand’s flagship and will be the first opened in a high-traffic premium shopping mall. Located at the junction of Highway 401 and the Allen Expressway, the Yorkdale Shopping Centre hosts approximately 18 million visitors per year and is home to a number of high-end furniture and home furnishings retailers including Bowrings, Crate & Barrel, Home Outfitters, Kimmberly Capone, Pottery Barn, RH, Williams-Sonoma and Zara Home. This new endeavor also demonstrates the commitment of Miele to the Canadian market where demand for its world-leading, premium appliances continues to grow. The company has been represented in Canada since 1989, with headquarters in Vaughan, Ontario. Since 2004, the brand has opened four Miele Experience Centers – located in Calgary, Montreal, Toronto and Vancouver. 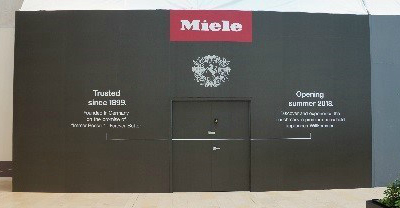 The new Yorkdale location will reinforce the Miele brand image characterised by quality, design, innovation and sustainability. Based in Germany, Miele is a manufacturer of premium appliances including cooking, baking and steam-cooking appliances, refrigeration products, coffee makers, dishwashers and laundry and floor care products. This line-up is augmented by dishwashers, washer-extractors and tumble dryers for commercial use as well as washer-disinfectors and sterilisers for use in medical and laboratory applications. 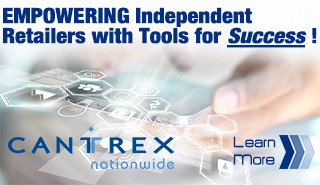 Founded in 1899, the family owned and operated company has eight production plants in Germany as well as one plant each in Austria, the Czech Republic, China and Romania, with annual sales of approximately €3.93 billion and a world-wide workforce of about 19,500. Yorkdale Shopping Centre houses more than 270 shops and services and covers nearly two million square feet of retail space.